Please do not place over-the-counter (OTC) and prescription medications in the garbage, flush down toilets, or pour in drains. These items contain hazardous substances that can threaten human health and the environment when not disposed of properly. Help protect our water supply by properly disposing of unwanted or expired medications. For additional locations and information about medication disposal, visit Don’t Rush to Flush at www.dontrushtoflush.org. 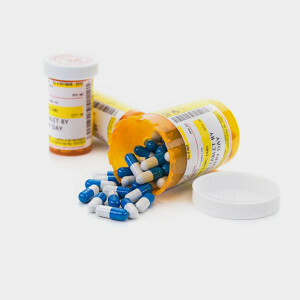 If you have medication that you need to dispose of bring it to the next DEA National Prescription Drug Take Back Event. See the Drug Enforcement Agency event page for information about future events. To protect your identity and privacy, scratch out any identifying information before disposing of empty or filled containers. Any empty bottles can be thrown in the trash. Some pharmacies and law enforcement offices are registered with the DEA as authorized drug collectors; you can drop-off unused or unwanted drugs at these locations. Find a DEA-authorized disposal location. Select Walgreens locations now have kiosks for safe medication disposal. Find a kiosk here.